Dr. Jennifer Ahern, PhD MPH, is Associate Professor of Epidemiology, Chancellor’s Professor of Public Health, and Associate Dean for Research at UC Berkeley School of Public Health. She examines the effects of the social and physical environment, and programs and policies that alter the social and physical environment, on many aspects of health (e.g., violence, substance use, mental health, and gestational health). In her work on violence, Dr. Ahern is concerned with effects of community violence on other aspects of health and health disparities in California, including gestational health and acute cardiac, respiratory and mental health events. Furthermore, she examines the effects of programs and policies that may influence violence. These include examination citywide firearm violence initiatives and statewide policies (e.g., the effects of gun shows on firearm injuries in the post-implementation period of California’s 1999 gun show legislation). Dr. Ahern has a methodological focus to her work, including application of causal inference methods and semi-parametric estimation approaches, aimed at improving the rigor of observational research, and optimizing public health intervention planning. 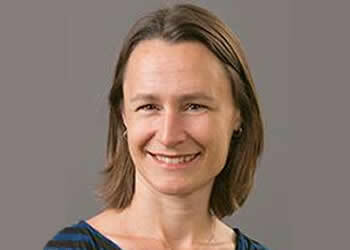 Her research is supported by a New Innovator Award from the National Institutes of Health (NIH), Office of the Director.